Former Jaguars center Brad Meester joined “XL Primetime” on 1010XL to talk about a variety of topics, beginning with his thoughts on his former Jaguar teammate Vince Manuwai, who unexpectedly passed away in Hawaii earlier this week. “It was hard to take,” Meester told 1010XL. “I heard about it a couple days ago when it happened and it was hard because Vince was a great friend of mine. “I played with him for a long time and he was just a great guy all around. He was a man with a big heart. He cared about everybody and he was one of those guys that whatever you needed, he would be there for you. He would give you the shirt off his back and that was what was so great about him. Meester played an incredible 209 career games in a Jaguar uniform over a 14-year NFL career and says he still follows his former team closely. “I watch all the games,” Meester said. “I usually try to go to the home opener, but I could not do that this year just because of coaching football this year. I know we are going to get it back together, but obviously, injuries are hard. Sometimes when they hit like that, it’s just takes a little bit to get it going again. “I know we have all the right pieces still there. I just think we have to get a little momentum, get a win behind us and get this thing going back in the right direction. 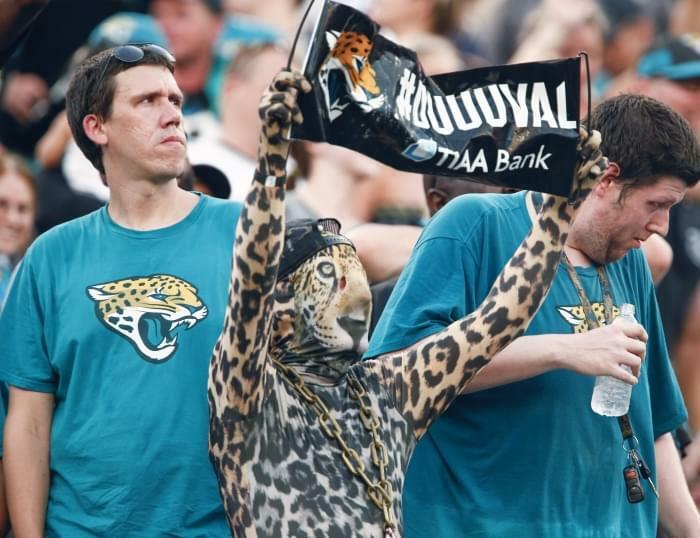 Meester believes all the pieces are still in place for the Jaguars to turn things around for themselves here in 2018. “The right culture is there,” Meester said. “We have the right team together and the right culture is there. Sometimes things just happen and this is how seasons roll sometimes. “I’ve been a part of those early in my career, where we had a heck of a team that was going to make the playoffs, but then all of a sudden a few things hit us and it staggered us a little bit. “This is still a very good team and a very strong team. It’s a team that plays together very well. It’s obviously not the record we wanted. The last few games have not gone how we wanted them to go, but I think it’s a great culture there and a great group of guys. “They are going to get this turned around and once we get it going, I think we are going to do a lot of good things and it’s going to be good to have that momentum especially late in the season. Meester is currently coaching the offensive line for Mount Vernon High School in Iowa.